Harry (played by dancers Lydia Ariken and Dawn Collins of Trinity Laban Conservatoire and Rambert School of Ballet, respectively ) is an eight-year-old bedridden invalid. One night a miracle occurs: Harry is suddenly endowed with the power to walk. And so he gets out of bed and goes on a weird and wonderful journey only to find himself at the end of his life in a wheelchair surrounded by an anonymous crowd. Central St Martin’s film and video tutors included Structural Film artists hailing from the London Filmmakers’ Co-op such as Tina Keane, Anna Thew, William Raban, David Parsons and Mary Pat Leece. Under their watchful eye Matthias began to experiment making animation and live action films using 16mm and 8mm celluloid stock and different tape formats – U-matic, Video8 and Hi8. (The Clear) 2-Way Drive is Matthias’s second dramatic student film. The first was an 8mm, silent film The World Is Our Oysters shot with the help of a group of friends in a notorious squat on Guilford Street, Bloomsbury in autumn 1988. In winter 1989 the time came for Matthias to focus on his final graduation movie, and he looked to his childhood writings as a source of inspiration. Though he had previously been commissioned to write a treatment for a TV pilot, (The Clear) 2-Way Drive (originally titled Clear Ambiguity) was his first attempt at writing directly for the screen. 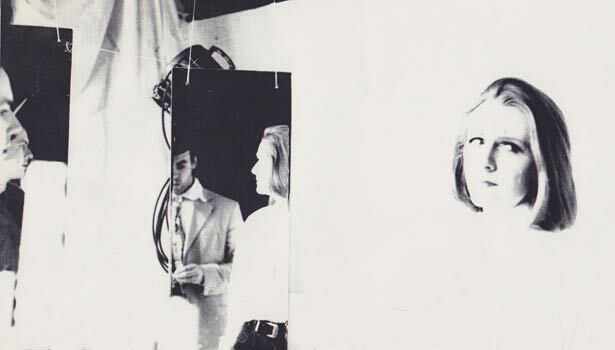 From the get-go his aim (and self-imposed creative limitation) was to design and build all of the sets, make the costumes from scratch and shoot the entire 16mm film in the college’s basement studio on Long Acre, Covent Garden. With this film, Matthias wanted to create a whole world of pictorial fiction. 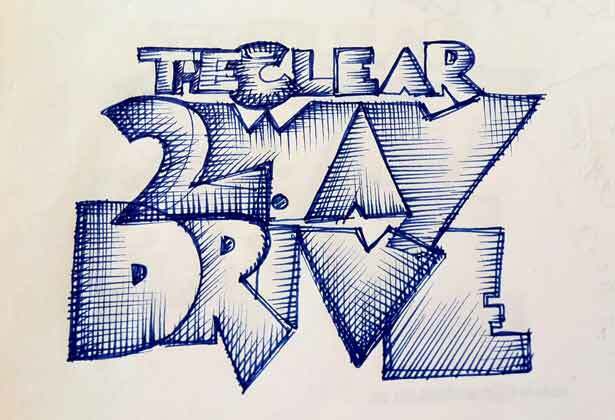 (The Clear) 2-Way Drive was first screened in June 1990 at the Riverside Studios, London. In April 1995 it was received with great success at the Royal Danish Academy of Arts, Copenhagen, as part of Audio*Video*Trauma, an exhibition curated by artist Liam Gillick. Nahar Amin (Lookalike), Antony Antoniou (Lookalike), Julia Antony (Lookalike), Lydia Ariken (Harry the Younger), Nick Barlow (Lookalike), Antonia Beamish (Clara Oscura), Matthew Boyer (Lookalike), Merlin Carpenter (Lookalike), Dawn Collins (Harry the Younger), Adrian Dannatt (Hermes the Hermit), Sharon Dolphin (Lookalike), Peter Godwin (Lookalike), Mark Harvey (Lookalike), Georgie Hopton (Zygote Upstart), Matthew Kelly (Lookalike), Annabel Lines (Lookalike), Elena Matthias (Lookalike), Fionnuala Ni Chiosain (Sphinx), Simon Periton (Crocodile Clarinet), Dean Proctor (Lookalike), Josephine Pryde (Oboe Aardvark), Angelo Sanna (Lookalike), Sarah Staton (Sybil), Stewart Taylor (Lookalike), Nicola Tyson (Hermes the Hermit), Henrietta Wallace-Dunlop (Lookalike). Written, produced and directed by Cassius Matthias. Camera, Catharine Hoy; additional camera, Dave Allen; editor, Cassius Matthias; music, 23 Skidoo; production design, Cassius Matthias, Tom Shaw, Anne Warwick, Fiona West; costume design, Marcus Davis, Mona Kher, Sarah Staton (accessories by Gucci); hair & make-up design, Cheryl Hubbard, Danielle Pedrina; sound, MCM, Louise Nicholls, Niki Patriachaea, Gillian Schneider, Joan Wall; sound editor, Cassius Matthias; re-recording sound mixer, Paul Hamblin; assistant director, Mark Harvey.